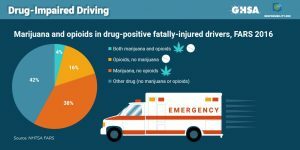 The drug-related fatalities are increasing, even as safety experts are expressing urgent concern about a recent spike in overall road deaths, including now hit-and-run killings of bicyclists and pedestrians. In my practice, I certainly see not only the major harms that patients suffer while seeking medical services but also the major havoc that can be inflicted on them by car, truck, and motorcycle crash injuries. We need to make a priority out of developing fair, reasonable, affordable, convenient means to determine intoxication levels with marijuana, and, perhaps with other common drugs, so we can enforce measures to keep our roads safe. This challenge has existed for a while now, and road and safety officials knew it was coming, so they shouldn’t offer excuses as to why they haven’t progressed on this issue. We need to get even more aggressive in figuring how we’re going to curb the complex and daunting opioid abuse epidemic that afflicts communities, families, co-workers, friends, and even delivery of the daily mail. But as individual operators, we all need to commit to safety whenever we get behind the wheel. We can’t be sleepy, drugged — with grass, prescription medications, or illicit opioids or narcotics — drunk, distracted, or impaired in any way as we navigate in vehicles with tons of metal, glass, and gasoline. We need to counsel and cajole ourselves, spouses, kids, loved ones, and friends, too, to be sticklers about following best road-safety practices. 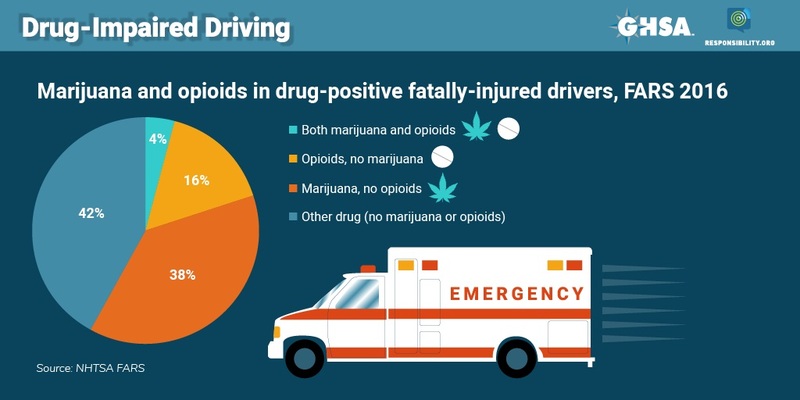 We’ve got a long way to go to reduce anew road carnage, and to understand that, while using dope may be legal, we can’t be dopes in doing so while driving.